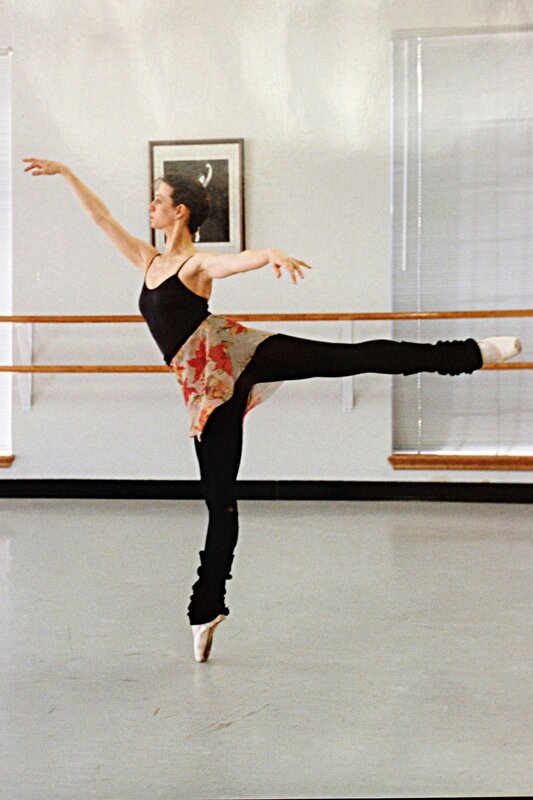 Julie Bierne is a Teacher Member of The Cecchetti Council of America and the Southwest Committee of the CCA. She is a former ballerina with Ballet Oklahoma (now Oklahoma City Ballet). There she danced in productions of Carmen, Coppelia, Les Sylphides, Tangos, many Nutcrackers, and in the “Peasant Pas de Deux” of Giselle, her favorite ballet. At the age of 15 Ms. Bierne was accepted into the Los Angeles Ballet summer intensive program. It was there, under the watchful eye of Russian ballerina, Irina Kosmovska, that her technique and artistry blossomed. Julie has a long history with the school and has known Classical Ballet Founder, Kay Sandel, since moving to Oklahoma in 1977. When Julie finished her professional career, she chose Classical Ballet School for herself and her daughter's ballet training. Julie holds a Bachelor of Arts in Liberal Arts from the University of Central Oklahoma and has studied abroad at the Université de Paris, Sorbonne, France. She has many years of business and marketing experience in the luxury hotel industry and has served as Education Director for the Air Force—creating curriculum, training and certifying volunteer staff, and managing education programs for students of all ages. These competencies give Ms. Bierne the expertise to direct both the business and artistic aspects of Classical Ballet School as one of the premiere ballet schools in the state of Oklahoma. Cynthia Schmidt grew up taking ballet classes at Classical Ballet School, starting in pre-ballet at the age of 5 years old. She grew up watching her mother take the advanced classes and wanted to be just like the older girls someday. She has been in many of the school’s performances. Her favorites were Alice in Wonderland and Hansel and Gretel. Cynthia has worked with children for many years as a counselor at Camp Fire’s Camp DaKaNi, as well as Camp Chaverim at Temple B’Nai Israel. She currently works at Dean McGee Eye Institute when not dancing. Cynthia believes that everyone should be able to learn ballet, and is excited to be able to share her love of dance with the students at Classical Ballet School. Kay Sandel has danced professionally with Ruth Page’s International Ballet Co. of Chicago, the Chicago Lyric Opera, Tulsa Ballet, National Ballet of Washington D.C., and Ballet Oklahoma. She received her formal training in Tulsa with Roman Jasinski and Moscelyne Larkin (one of the five Oklahoma Indian Ballerinas), former members of the Original Ballet Russe. It was during this time that she danced for many years as principal dancer with the Tulsa Civic Ballet, the precursor of Tulsa Ballet Theatre. She was Artist-In-Residence for the Tulsa Arts and Humanities Council, presenting programs at local schools on the development of ballet. She was awarded a Ford Foundation Scholarship to study and apprentice with the National Ballet of Washington D.C., under the direction of Frederic Franklin. While there, she received further training from renowned teachers such as Maria Swoboda and Oleg Tupine, and Sonia Arova. She has danced many roles in such ballets as Nutcracker, Carmina Burana, Con Amore, Bolero, Swan Lake, Pas de Quatre, La Favorita, Afternoon of a Faun, Prodigal Son, and Coppelia. She also danced the part of Myrtha in Giselle with Maria Tallchief (another of Oklahoma’s Indian Ballerinas).